Located in Orlando, Florida, Cypress Pointe Resort provides a relaxing family-friendly atmosphere in close proximity to world-famous theme parks including Walt Disney World®, Universal Studios® and SeaWorldTM. With every convenience to make for the perfect home away from home, you'll enjoy your stay in a tropical, yet cozy studio or one of the spacious suites, available in two- and three-bedroom adjoining configurations. To make your stay even more magical, Cypress Pointe Resort offers endless on-property amenities including a volcano pool with a waterslide, fitness center, activity center and playground. Whether you are joining us at Cypress Pointe for a romantic couples' getaway or a fun-filled family reunion, we have guestrooms and suites that can accommodate you. Our well-equipped guestrooms are available in studio, two-, and three-bedroom adjoining configurations. In each room, you will find tropical, Florida-inspired décor, plush mattresses and everything you may need to enjoy your vacation. Enjoy an endless variety of activities and amenities, both on and off-property. Orlando's warm climate and world-renowned attractions make it a year-round vacation destination for visitor from all over the world. From theme parks to water parks and premier shopping malls to dinner theaters, there's something to entertain everyone. Cypress Pointe Resort is your escape from the hustle and bustle of Orlando. Inside our gated resort, you have access to a multiple pools, including a volcano pool, a fitness center as well as tennis, volleyball, shuffleboard and basketball courts.With fully-appointed kitchens available in our suites and Café de Pointe and a gift shop on-property, you won't even need to venture out of the resort. When you're on vacation, the last thing you want to worry about is where or what to eat. At Cypress Pointe Resort, you have access to a plethora of on property dining options. From the poolside Café de Pointe to the Oasis Tiki bar just steps away at our sister property, there is something to satisfy everyone's taste buds. From shuffleboard and basketball courts to a volcano pool with a water slide, Cypress Pointe is packed full of amenities. The fun doesn't stop there, however. You also have access to our sister property, Grande Villas Resort, where you will find two pools, mini-golf and so much more. Cypress Pointe Resort is convenient to the nation's best attractions. From theme parks to themed restaurants and premier shopping, there are nearby activities to entertain anyone. Cypress Pointe Resort provides an oasis away from the hustle and bustle of Orlando. With a plethora of family-friendly amenities available on-proprerty, and a central location to some of the nation's best theme parks, our suites will be the perfect home away from home for you. Centrally located, we're situated near Florida's best attractions. Just minutes from the resort, you will find Walt Disney World®, Universal Studios®, and SeaWorldTM, along with many of Orlando's other attractions including, dinner theaters and world-class shopping malls. Booking directly assures that you will receive the best possible customer service, a worry-free booking process and our best available rates. 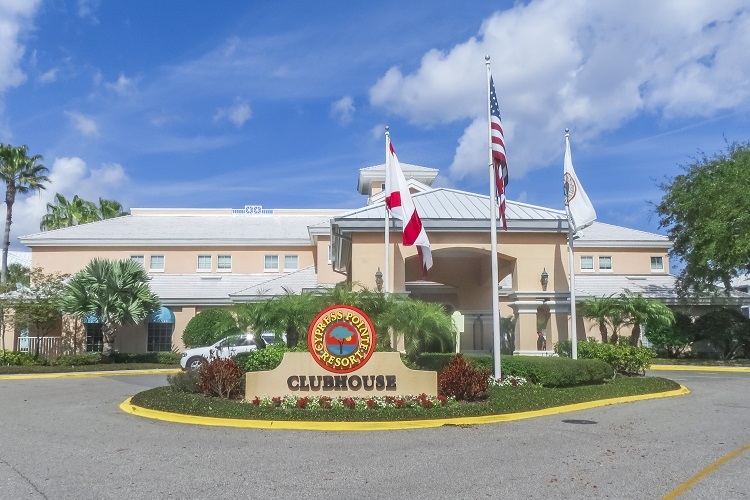 Cypress Pointe Resort provides a relaxing haven within close proximity to Orlando's most famous attractions.